Christopher Buxton graduated English and American Literature at the University of Kent. He first came to Bulgaria in 1977 as an English Teacher in Burgas. In three years he mastered the language, read voraciously and began to be shocked by the unfairness of Bulgaria’s low profile on the European cultural stage. He fell in love and so has remained close to the country ever since, spending more and more time there, immersing himself in the everyday struggle with extraordinary situations. He has had novels published in Bulgaria, (Far from the Danube, Prudence and the Red Baron, Radoslava and the Viking Prince) and has written a number of articles for Vagabond Magazine on contemporary Bulgarian social, cultural and political issues. 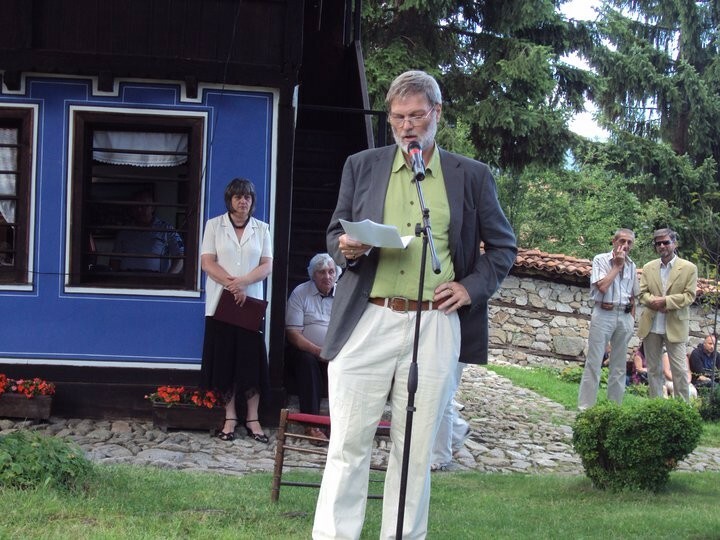 Some of his translations of Bulgarian classic literary texts can be found on his website. They include stories by Yovkov and Elin Pelin, poetry by Kiril Christov, Ivan Vazov, Vladimir Bashev, and Christo Fotev. His latest project is to translate Wolfhunt by Ivailo Petrov. He is a Committee member of the British Bulgarian Friendship Society.